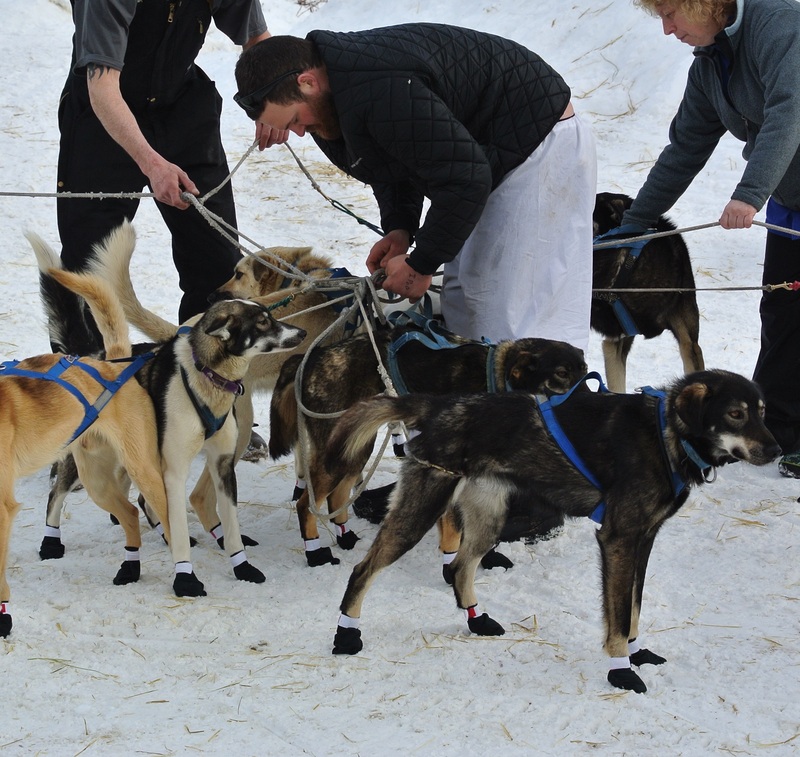 One question students always tend to ask is, “What happens if a dog team gets tangled?” Well, that happened today to James Volek as he left Takotna. James brought his team from behind the checkpoint building and a few dogs decided to head up the trail, and a few decided to go down trail. What was left in the middle was a tangled mess. 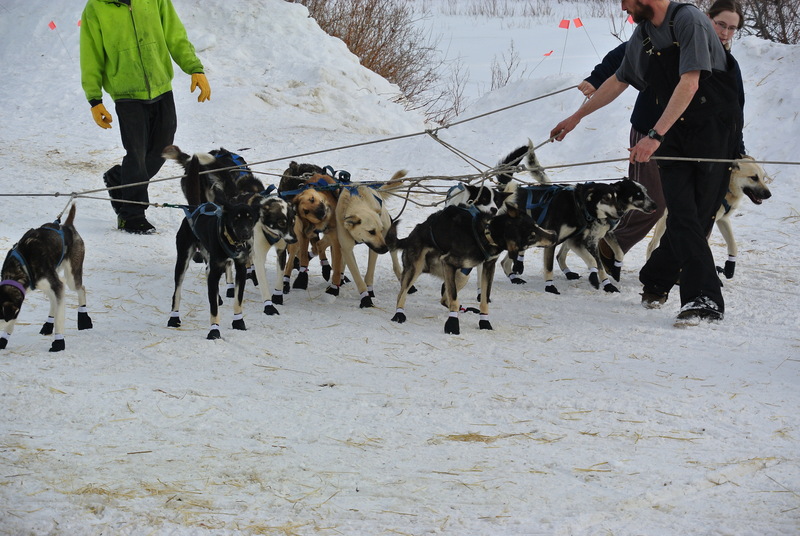 James calmly got off his sled and began the untangling process. It wasn’t long before all the dogs were heading in the right direction. Amazingly, the entire process only took a few minutes.